Mega Sale! 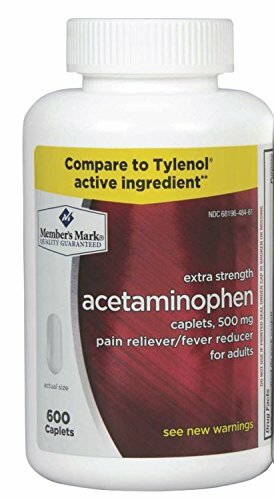 Save 29% on the Acetaminophen Generic 500 mg Extra Strength - 600 Caplets by Members Mark at HQ Health Blogs. MPN: 111691. Hurry! Limited time offer. Offer valid only while supplies last. Unlikely to cause the gastric irritation often associated with Aspirin, Naproxen Sodium or even Ibuprofen.